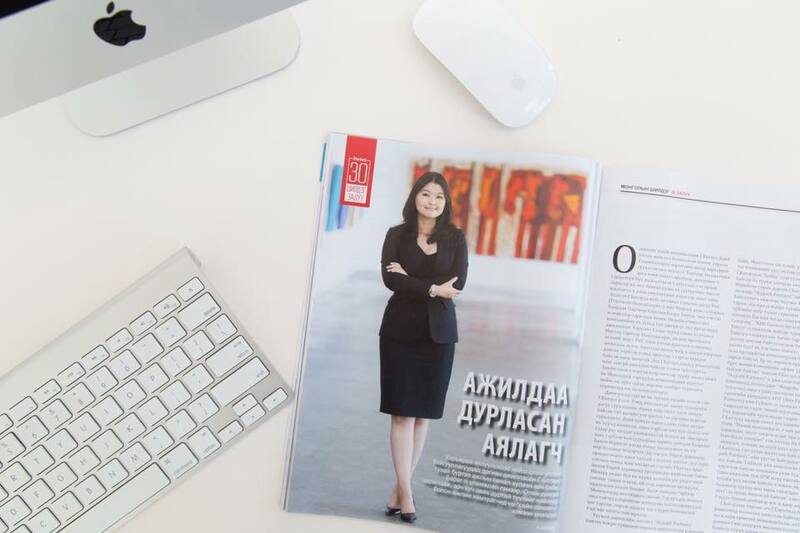 SCHWARTZWILLIAMS spoke to Batzul Gerelsaikhan, Public Relations Director, Mongolian Properties LLC – Ulaanbaatar, and one of the Forbes Top30 Young Professionals of Mongolia in 2017, about her experience in the Mongolian property market. Mongolia, bordered by China and Russia, has extensive expanses and is known for its nomadic culture. Its capital, Ulaanbaatar is a vibrant business centre with a young population. Here, Batzul Gerelsaikhan shares her experience with SCHWARTZWILLIAMS of living and working in Mongolia. I studied in Copenhagen, Denmark and started my career with PwC as an auditor in Ulaanbaatar, Mongolia, then got headhunted by a private equity investment firm SkyPath Partners (buy side) and again got headhunted by my current company Asia Pacific Investment Partners (APIP sell side, and the parent company of ‘Mongolian Properties’) to work as a representative in its Hong Kong office. They were all very different experiences, but the one common thing that I excelled at was client relations and networking, which are always extremely important in any company, but more so in real estate businesses. I never thought I would be in real estate, but so far it has given me a great opportunity to enlighten foreign investors about Mongolia and assist local and international partners to succeed in this market. What are some of your career highlights from your time in the industry? People would think that becoming one of the Forbes Top30 Young Professionals of Mongolia in 2017 would be a career highlight, but actually working in Hong Kong as a representative of my company and country was definitely one of the best experiences thus far. During my stay in Hong Kong, my company allowed me to work also as an Executive Director of Mongolian Chamber of Commerce (MonCham) in Hong Kong and it was a privilege working with high-ranking Mongolian politicians and businesspeople by connecting them with foreign investors in Hong Kong. What are the biggest issues facing the real estate industry in Mongolia at the moment? Ulaanbaatar is expanding both in population and size, so we need more power stations (preferably renewable), a bigger sewage system and eco-friendly infrastructure. We need to invest more in gardens, parking, and proper city planning and infrastructure investments, especially low-income housing developments in the “ger” district area. It is also worth mentioning that our mortgage market is in its infancy. Individuals face substantial obstacles to purchasing properties, and consequently, this affects the nature and direction of development in the city. How has the industry changed in the time you have been involved with it? Mongolian Properties was the first and the only real estate agency in Ulaanbaatar at foundation in 2001, but now we have new players and competitors in the real estate market, therefore we need to revisit our branding and update our business strategy in order to remain one step ahead of new market entrants. In addition, more and more buildings are coming to market, especially in the central business district, so our real estate portfolio is increasing every year. Our group also builds residential and commercial buildings, and there is steady competition. This said, we distinguish ourselves by our ability to draw on international capital and through design. We work with Nordic Voodoo Associates and Rive Gauche in London, amongst others, to deliver a superior product to that available elsewhere in the market. What changes would you like to see over the next two to five years in the industry? 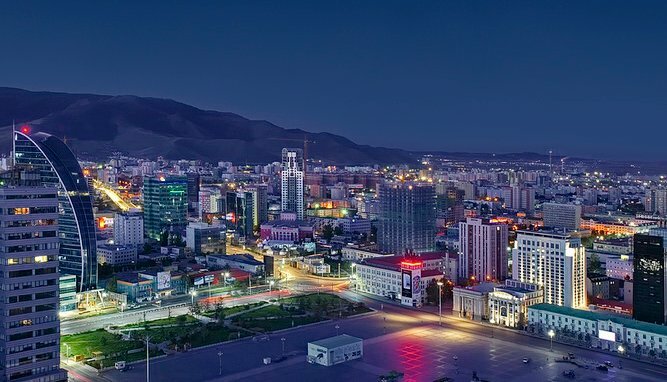 The world still thinks Mongolia is only about camels, wild nature and steppes, horses, endless mineral resources and Chinggis Khaan; but Ulaanbaatar is a vibrant business center in this part of Asia. Foreign investors need to understand that Mongolians are all multilingual and Ulaanbaatar boasts a young population eager to see greener and more eco-friendly infrastructure. Hence, I would like to see more progress in renewable energy and development of low-income housing that can relocate the ger district population, alleviating pollution in winter by providing more efficient homes. What advice do you have for people who are just starting out in similar careers? Be patient and be honest. You meet all kinds of people from all kinds of backgrounds who speak a variety of languages. Your job is to advise and update them on the real estate market and find solutions to their specific property needs. It is always the case that landlords tend to give crazy high prices and we, the agents, tell the landlords that this price is not feasible. Vice versa, tenants want super nice apartments at low prices. It is crucial that you should be honest with both clients and never lie about the situation or overpromise. If the market is bad or the apartment is in bad condition (i.e. needing renovation or better furniture), then tell the landlord exactly that. Vice versa, if the tenant is expecting too much for a low budget or asking for things that do not exist in your country (private pool in the house, for instance, in Ulaanbaatar), tell them no and adjust their expectations. Just be honest, build long lasting relationships with your clients and your hard work will be valued eventually and the power of word-of-mouth will open doors to more clients and deals you can could ever imagine. What do you believe is a unique factor of doing business in your market? Of course, in any market, careful research and identification of investment opportunities are advisable, however, in Mongolia, it is particularly crucial. Please, consult our annual comprehensive MONGOLIA – Real Estate Report. Mongolia has a GDP of around US$12 billion, and so small changes in foreign direct investment, for instance, can have a significant effect on overall economic performance. Whether in energy, mining or real estate, an understanding of the close interaction between different economic dynamics enables well-advised investors to realize outsized returns. What is your favourite holiday destination in Asia? Mongolia is the best to visit in summer and it is very sizeable (19th largest country in the world), so I try to travel to different parts of my country, i.e. ride two humped camels in the Gobi Dessert, go north to Khuvsgul Lake, south to hike in the Altai mountains, or go for 14 days of horse riding in Terelj National Park. As for other countries in Asia, I have only been to Hong Kong, Beijing, Singapore, Koh Samui, Jerusalem, Tel-Aviv, Haifa and Manama for business and pleasure. I definitely need and want to travel more, so I would like to visit my closer neighbours next time perhaps, such as Japan, Korea (both South and North) and Russia. Favourite destination to come back to is: Koh Samui – not many tourists (but lately, I’m hearing the tourism is increasing there), amazing beaches, great food and yoga to find your inner peace. What’s your outlook for your sector/s for the next year? Mongolia is trying hard to make a major contribution to the global mining industry, particularly through the Oyu Tolgoi copper-gold mine, which may contribute to as much as 30% of our GDP growth. The past few years have been difficult, as global commodities’ prices have softened, however, this year, we have seen an increase of over forty percent in industrial output, and an exceptional performance of coal (in volume and value terms). The IMF predict growth of 8% by 2019, but we think it may come sooner. These mining companies relocate international experts and outsource professional mining companies from abroad, so hundreds of expats come to work in Mongolia and yes, they need a roof over their heads. A good economy gives landlords high rental incomes, but a bad economy gives investors who target distressed assets a rare opportunity to purchase units at extremely low prices. So regardless of oscillations in economic performance, it’s pretty important to remain in close contact with you real estate advisors. Where would your next property purchase be and why? For more information, call or email Batzul Gerelsaikhan via the links below, or visit Mongolian Properties LLC.